MARL 084 Series LED Bulkhead lamps are now available to order from HUB Electronics. Typically used to replace a bulb type bulkhead fixture, MARL 084 Series LED Bulkhead lamps are suitable for a wide range of applications including perimeter lighting, architectural lighting, driveway lighting, industrial lighting, construction lighting, security lighting, tunnel lighting, path lighting and stair lighting. The MARL 084 Series LED Bulkhead features a robust aluminium base with a polycarbonate lens which provides excellent wide angle viewing for signal and indicator illumination. 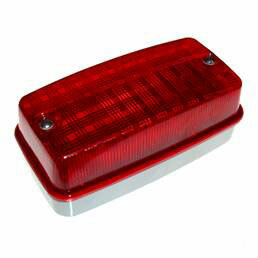 Available in a range of colours (Red, Amber, Green, Blue and Cool White high intensity LEDs) and voltage options. Benefits include high optical performance, lower heat generation and outstanding reliability, with a life expectancy of 90,000 hours (10 years). The unit is sealed to IP67 suitable for external applications. Rail certified versions are also available. Browse the MARL 084 Series LED Bulkhead lamps range, or contact us for more information.